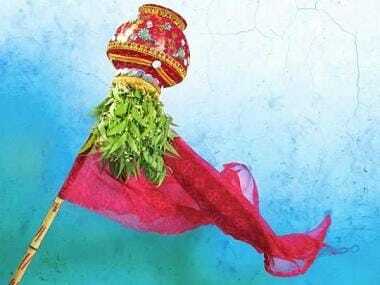 Gudi Padwa, the spring-time festival that marks the Hindu new year, falls on the first day of the Chaitra month. The day is also considered auspicious to start any new venture and as the country celebrates new beginnings. Bollywood stars took to their social media handles to wish fans on the auspicious occasion. Renuka Shahane posted a picture of herself wearing the traditional Marathi nathni, along with a caption in Marathi wishing everyone a happy Gudi Padwa. Urmila Matondkar, who is contesting the Lok Sabha polls on a Congress ticket from Mumbai North, was out and about celebrating the Marathi New Year in a silk yellow saree. Aamir Khan shared a photograph with his wife Kiran Rao, that showed both of them engrossed in a puja ceremony. 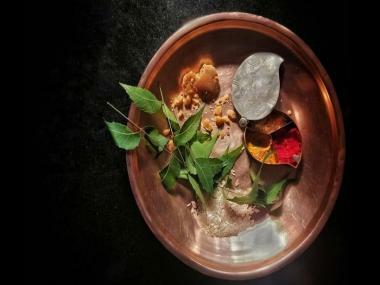 रेशमाची गुढी सजली, नवीन वर्षाच्या सणाला सुरवात झाली. सर्वांना नववर्षाच्या आणि गुढीपाडव्याच्या हार्दिक शुभेच्छा. पहा 'तुफान आलंया' आज सायंकाळी ५:३० वा. आणि रात्री ९:३० वा. फक्त 'झी मराठी'वर. 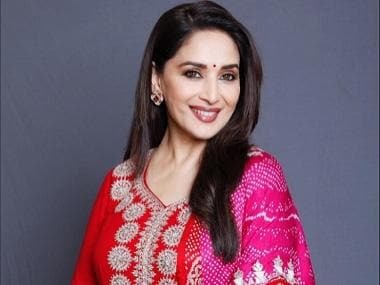 Madhuri Dixit, who awaits the release of her next film Kalank, put up a photograph wherein the actor had made a colourful rangoli next to the gudi. Raazi actress Amruta Khanvilkar chose a red and white nauvari saree for her Gudi Padwa look.